NEW 2016 Pearl River Pianos in London- A. Hanna & Sons Pianos Ltd.
With more than half a century committed to perfecting the design and production of fine pianos, Pearl River Pianos has become the best-selling piano in the world. 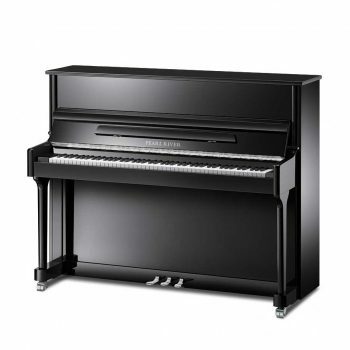 By combining the art of European craftsmanship with quality components and the latest technological advances in instrument production, the pianos that bear our brand are not only critically acclaimed, but also affordably priced. Our future is unlimited because our goal will always be to build the best pianos in the world. Moreover, Musical Merchandise Review, (MMR Magazine) announced that Pearl River has been awarded “2016 Acoustic Piano Line of the Year”. This is very rewarding after winning “2015 Acoustic Piano Line of the Year” last year. Pearl River was selected by MMR Magazine’s subscribers and represents a significant achievement for our company.